Internet is an important part of Costa Rica's future. The Internet is the hope of an integrated world without frontiers, a common world without controlling owners, a world of opportunities and equality. She stressed the importance of increasing broadband access for Costa Ricans. “We want to bridge the digital gap to provide broadband access to 100 per cent of our educational institutions and to make it widely available to all people,” said President Chinchilla. “We want to allow Costa Ricans to make a qualitative leap in our development and go to an economy based on innovation and developing a broadband infrastructure in order to overcome the barrier of 15 per cent penetration." The President made her comments in the welcoming session of ICANN’s 43rd public meeting. ICANN Board Chair Steve Crocker described the President’s speech as "wonderful," and said it would be remembered around the world. 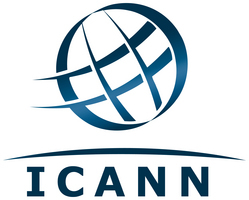 The President’s remarks received a standing ovation and many in the audience stressed that they considered the President’s visit a great honor for ICANN. “Costa Rica is fully integrated into the international movement that works towards the achievement of e-government, seeking an improvement in the quality of life, and seeking a more competitive state that will improve the productivity of our companies and attract foreign investment in a more dynamic way,” said President Chinchilla. To read a transcript of President Chinchilla remarks: http://costarica43.icann.org/node/29527.